Earn $94.99 in VIP credit (9499 points)What's This? The EA90 SL has reemerged, now tougher than ever and fully tubeless compatible. 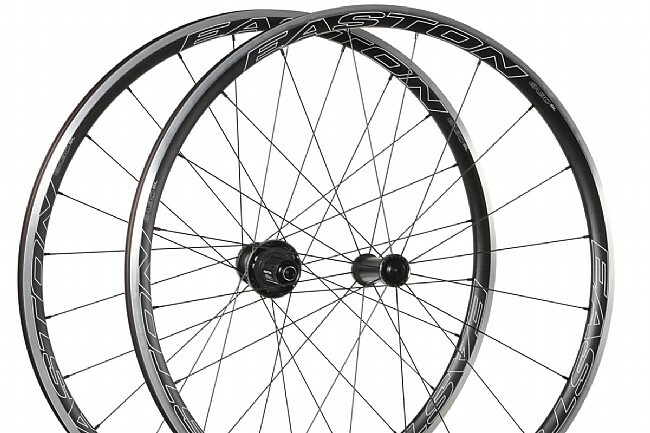 Thanks in part to a totally reworked hub and rim, Easton's bombproof race wheel solidifies its rep as the go-to option for demanding events, and high mileage riders. The stronger EA90 rim measures a full 22mm wide from edge-to-edge, resulting in a 17.5mm internal width, and a much more efficient contact patch when paired with tires in the 23mm to 32mm width range. That places more rubber against the road, and less bulging out the sides of your rim. At 25mm deep, the EA90 hoops are considered 'semi-aero' meaning that their relatively short 'v' shaped profile is wind slicing yet doesn't doesn't come with a weight penalty. In fact, Easton's proprietary EA90 aluminum is the lightest in their quiver of performance alloys, and the EA90 rim features a welded seam construction, furthering the balance of strength and weight savings. 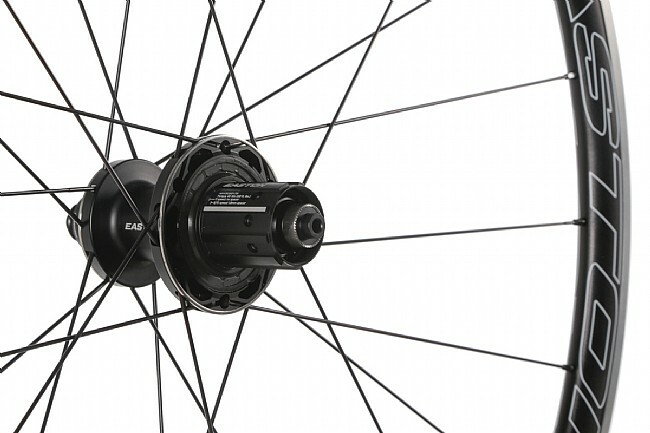 Rims aside, it's worth noting that the EA90 wheels now roll on the Echo hubset — a brand new design, and the result of R&D based on previous customer experiences. Easton has always used smooth and easy-to-maintain Enduro cartridge bearings in their hubs, but this new shell allows the bearings to be placed closer to the ends of the axle. This creates an ultra-wide stance that dramatically increases strength and stiffness, while helping to eliminate adjustment issues. The hub body itself has also been beefed up, with taller flanges for further rigidity and strength. The final touch is the Echo's redesigned freehub mechanism. Dubbed, 'Reverse Drive,' this design is actually attaches individually sprung pawls to the hub shell, and places the drive ring inside the cassette body, improving engagement and efficiency when it's time to drop the hammer. Sapim double butted straight pull spokes keep it all together, so you get an incredibly strong wheel that still remains light. This new model picks up a few extra spokes too, with 20 used up front, laced radially, and 24 spokes rear, laced one cross on the non-drive side and two cross on the drive side. 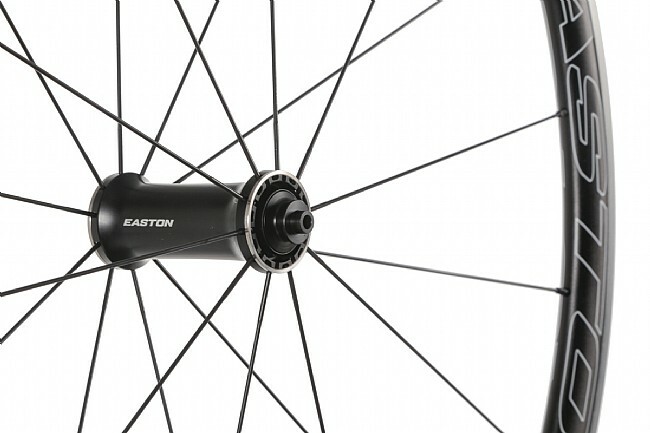 The Easton EA90 SL Wheelset is compatible with Shimano/SRAM 8/9/10 and 11-speed cassettes, right out of the box. A Campagnolo 9/10/11 compatible version is also available. The claimed weight for the set is 1580 grams. Black. Ride about 4,500 miles per year. Have been sent back to factory not once, but twice! Problems continue and have now broken 13 spokes on the rear wheel. I only wish the warranty would have included a money back guarantee cause I would've taken the money and run.... or rode away on different wheels. After 3 years of frustration, I purchased the HED Jet 6 wheels. Faster and NO broken spokes and not even a flat in over 6,000 miles!